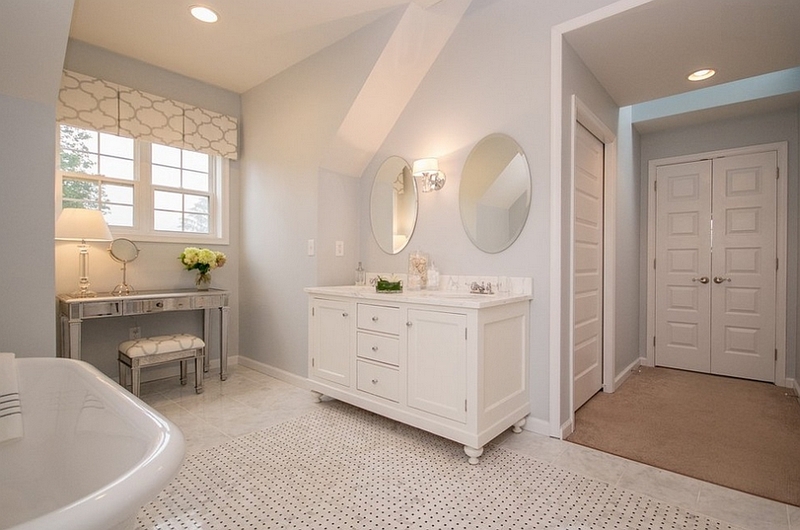 Relaxing, beautiful and fashionable feminine bathroom designs are all about comfort coupled with delicate beauty. The last few weeks we have taken a look at some the most fashionable feminine living rooms and the best bedrooms with a distinct feminine vibe on show. 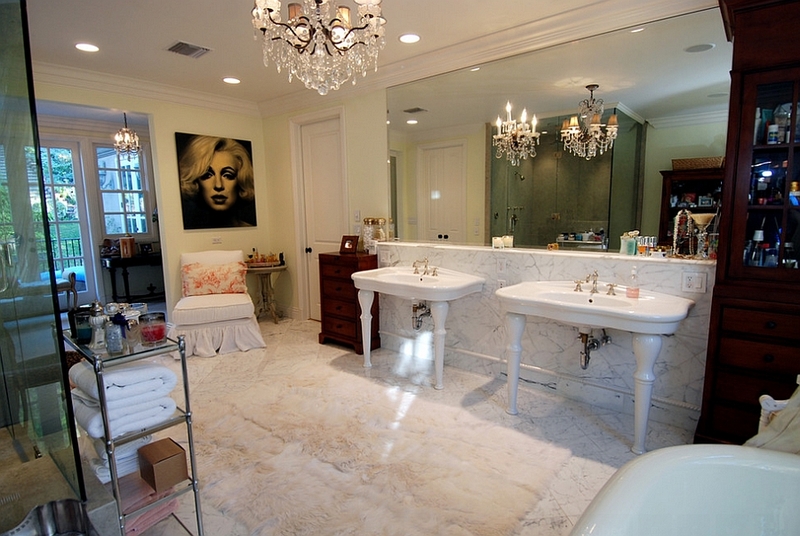 Today we continue this series by showcasing some exquisite feminine bathrooms that range from the modern to the vintage and the glitzy to the understated. 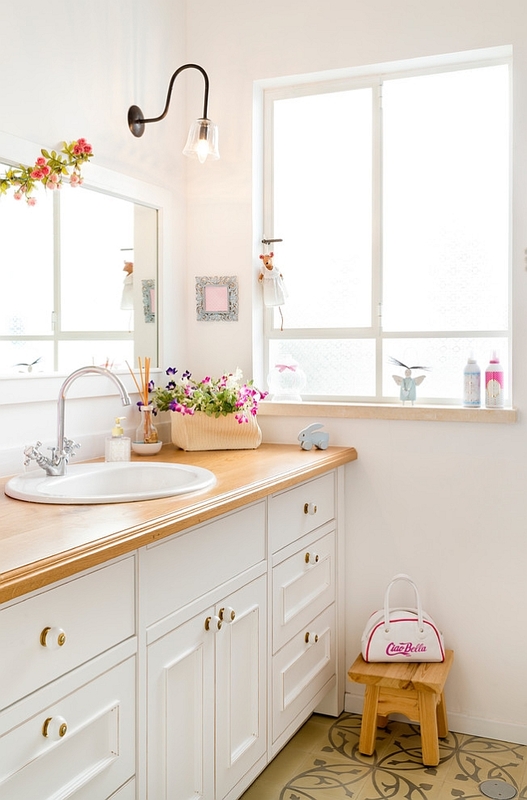 Bathrooms with feminine overtones are easy to create and you can even transform your existing bathroom into one by simply adding the right accents and decor. Whenever we talk of feminine spaces, one of the first things that come to mind is the elegant, and at times eloquent, use of color. 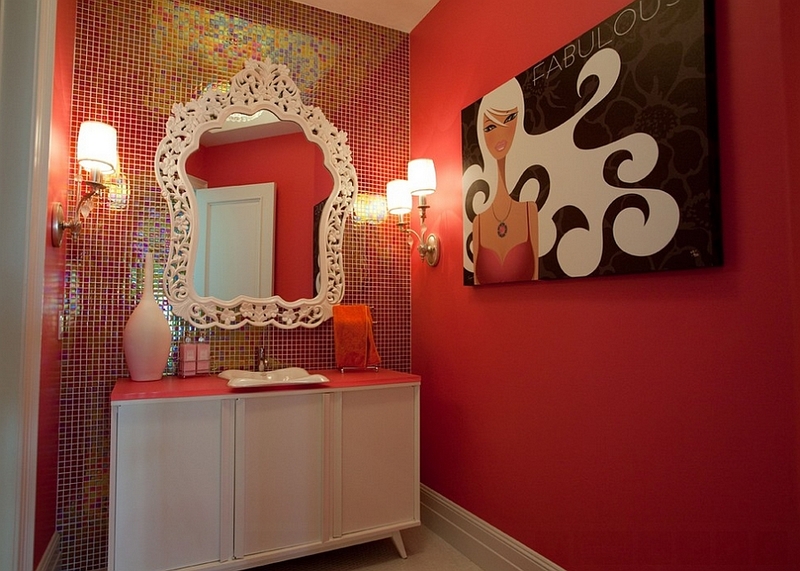 Pink is obviously a natural and popular choice in any feminine room and the modern bathroom is no exception. 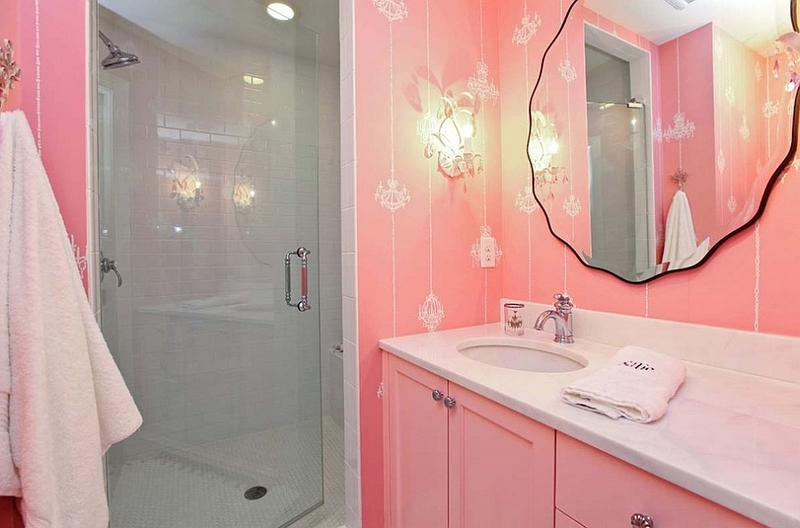 But you need not always drench the bathroom in pink to give it a feminine appeal. 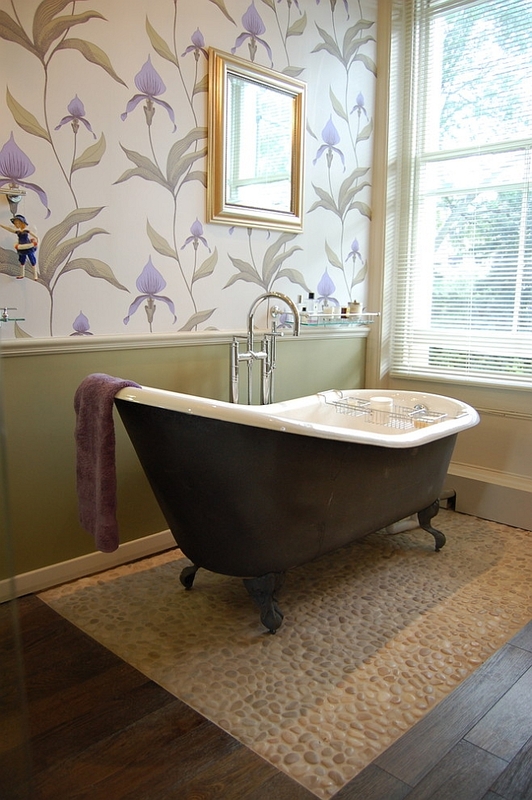 Purple and its many shades are also a great choice here and they tend to bring in a lot more class and sophistication to the bathroom. Another great hue is gold and with metallic accents currently toping the trend charts, it is cool addition indeed! 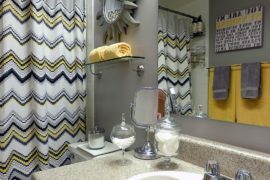 Looking beyond both pink and purple, red, silver, blue and yellow are the other preferred shades in the feminine bathroom. 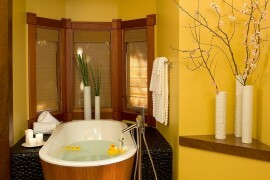 While color plays a significant role in shaping the feminine bathroom, it is not the only factor. 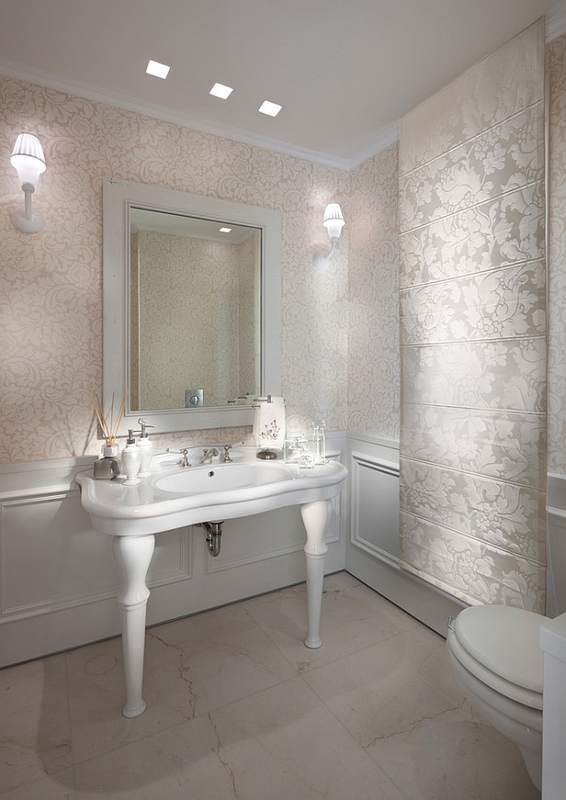 Remember that decor, lighting and accessories make a bigger impact in transforming the ambiance of the bathroom. 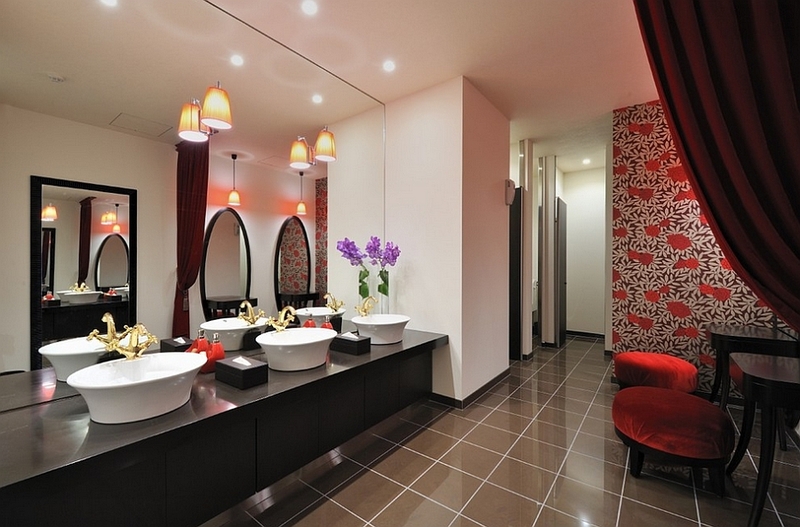 With spa-styled bathrooms gaining prominence in homes across the globe, the feminine bathroom is indeed the ideal choice. Its soft visual appeal, tranquil feel and the overall mood that it sets allow you to sink in and take a refreshing dip as all your worries melt away. 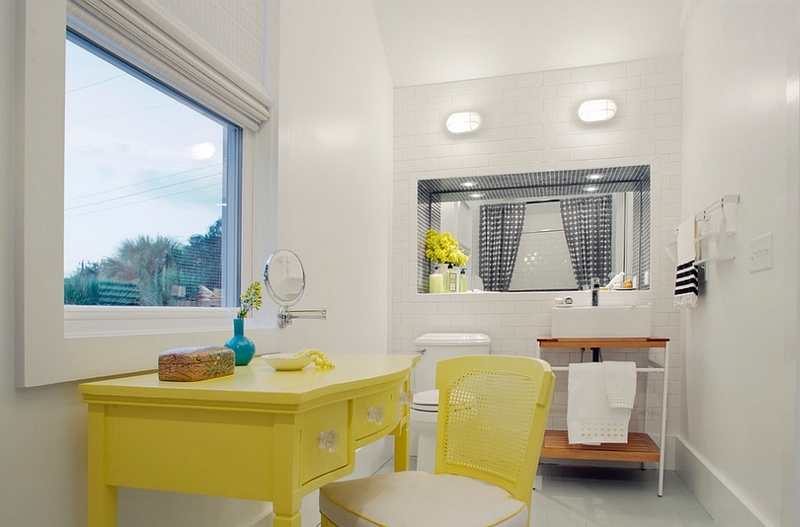 Instead of bright colors, you can opt for a more contemporary color scheme for such stylish bathrooms. Grey, white, cream and brown are ideal for crafting such soothing settings. 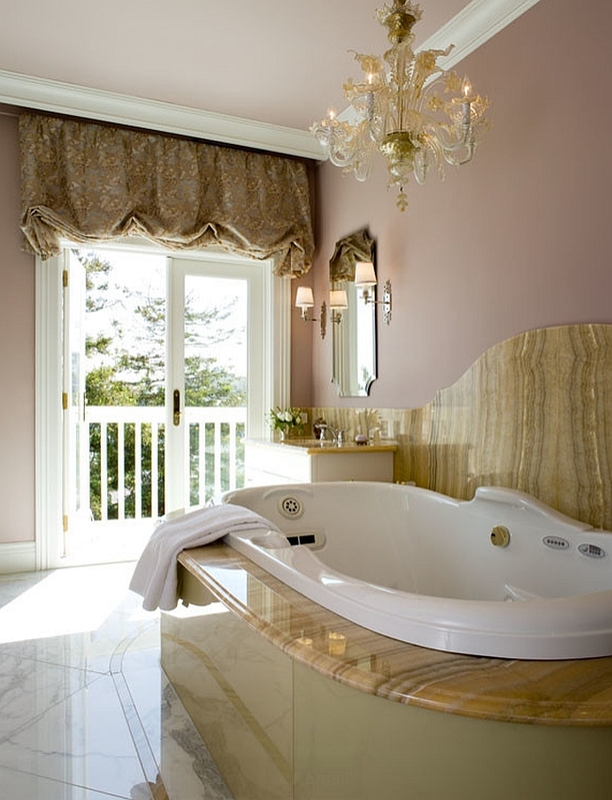 Yet, you can keep the distinct feminine appeal of the bathroom intact with curvy bathtubs and vanities, few warm wooden surfaces, plush white rugs, patterned curtains, a few flowers and candles. One of the great benefits of adopting such a neutral backdrop is the way in which you can easily transform it into any other style of your choice later down the line. 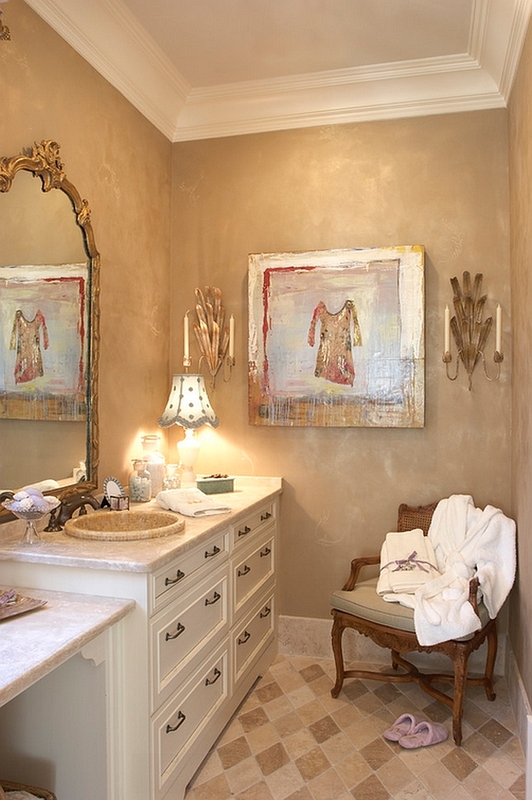 This also allows you to shape posh bathrooms that cleverly bring together both feminine and masculine touches without completely committing to just one look. 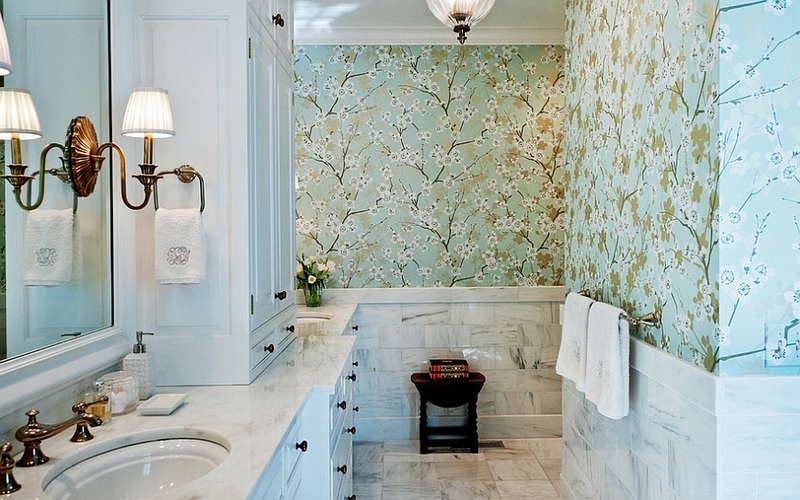 Introduce some pattern or chic wallpaper with flowery motif to easily give these spaces a softer appeal. 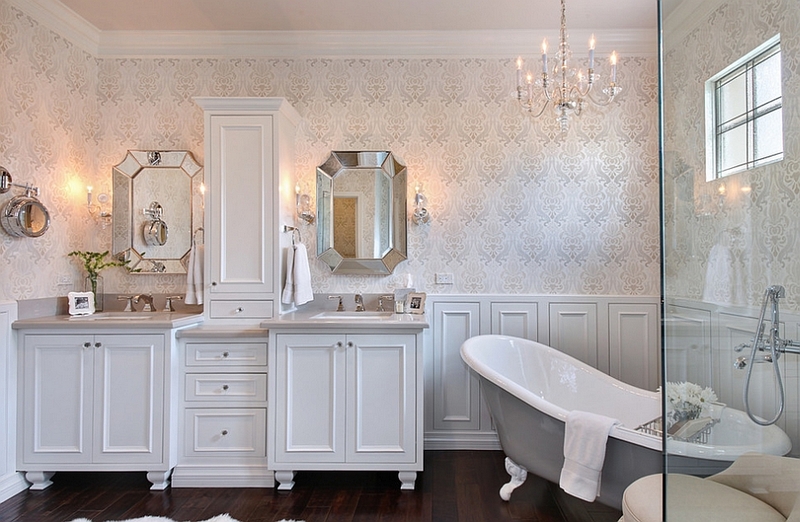 Classic, vintage, retro and Hollywood regency; somehow it is the timeless styles of the past that seem a lot more easy to work with in a feminine bathroom than sleek, contemporary themes. 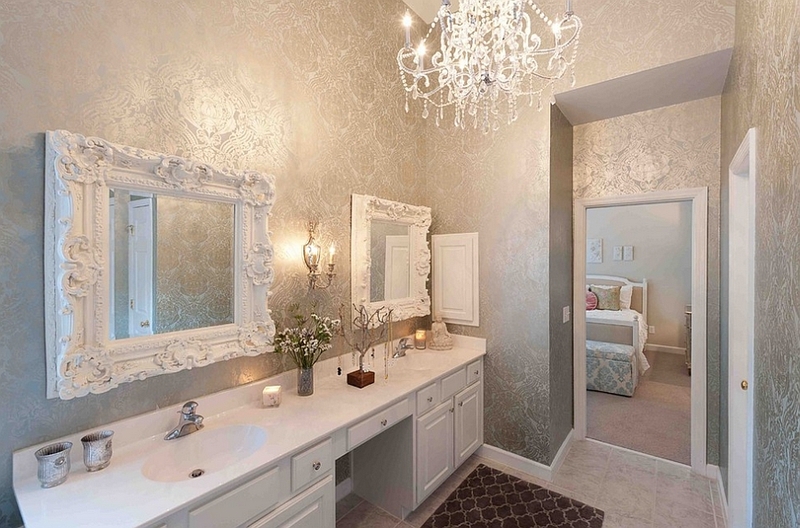 The use of sensuous curves, glittering mirror surfaces, varied textures and ornate lighting is why such classic themes fit well with feminine design ideas. It is indeed a match made in heaven! 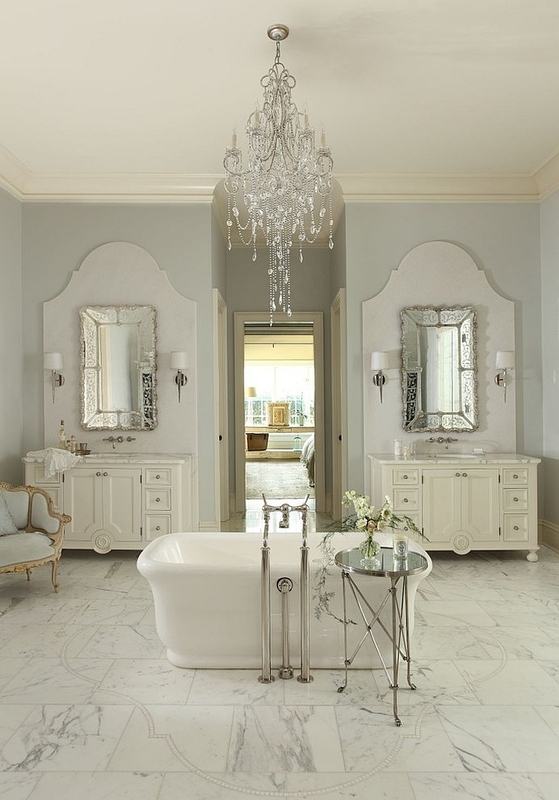 Elaborate chandeliers always seem like the focal point of such bathrooms while the revitalization of the claw-foot painted bathtub also lends ageless charm to these bathrooms. Gilded furniture, patterned drapes and rugs, wooden floors and metallic decor also mean that you can even give eclectic and shabby chic themes a shot here. 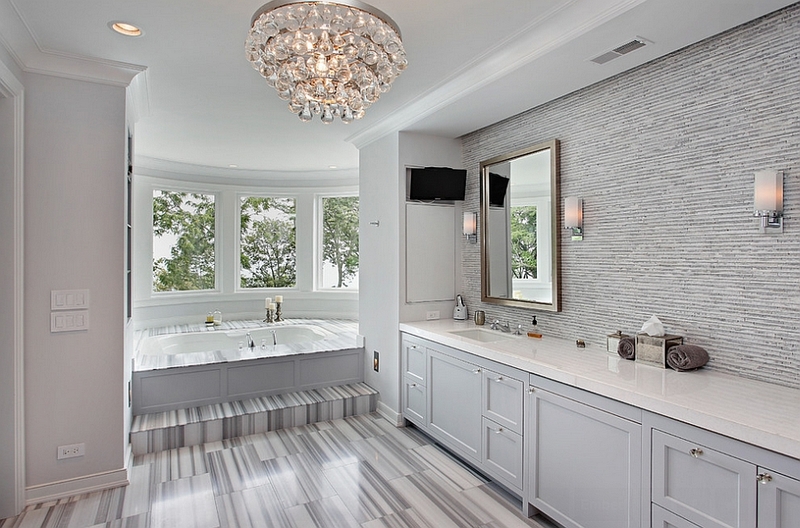 No matter what theme you choose, remember that the bathroom must convey beauty, serenity and sensitivity; for that is the trademark of any interior with a feminine vibe. 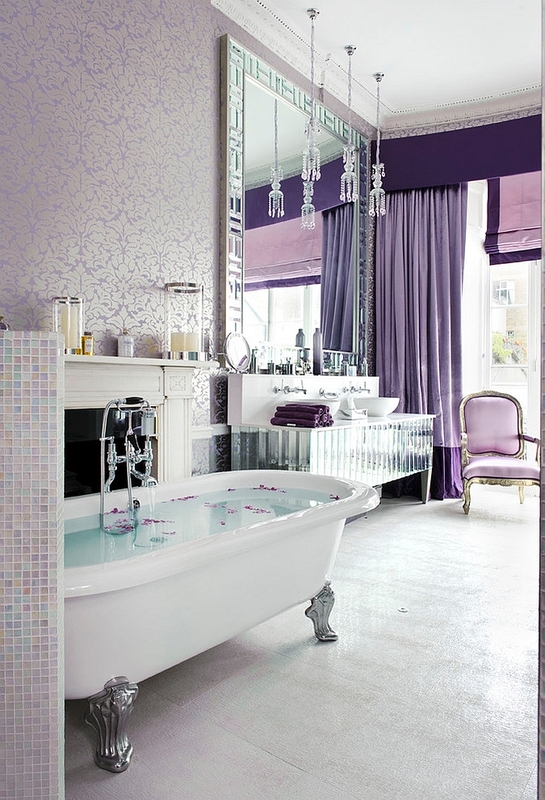 23 Gorgeous Bathrooms That Enchant with Purple Panache! Trendy Feminine Living Rooms With A Dash Of Delicate Finesse!